Santa found room in the sleigh to bring this Geek-Beek a new veil. After aspiring to keep bees for several years, I have decided that 2012 is the year. I’m an urban homesteader at heart, but with a postage stamp sized lot, livestock would be a challenge. Luckily I have a south-facing flat rooftop that should be the perfect place to warm the little arthropods and keep them safely out of reach of children and neighbors. The rooftop also happens to be the easiest point of entry and exit into our home, so I am hopeful that the hives will double as theft prevention. And also a deterrent to late night escapades when my children are old enough to consider sneaking out the window. Year one will involve 2 Langstroth hives and Carniolan bees. Ha! Love the pic. 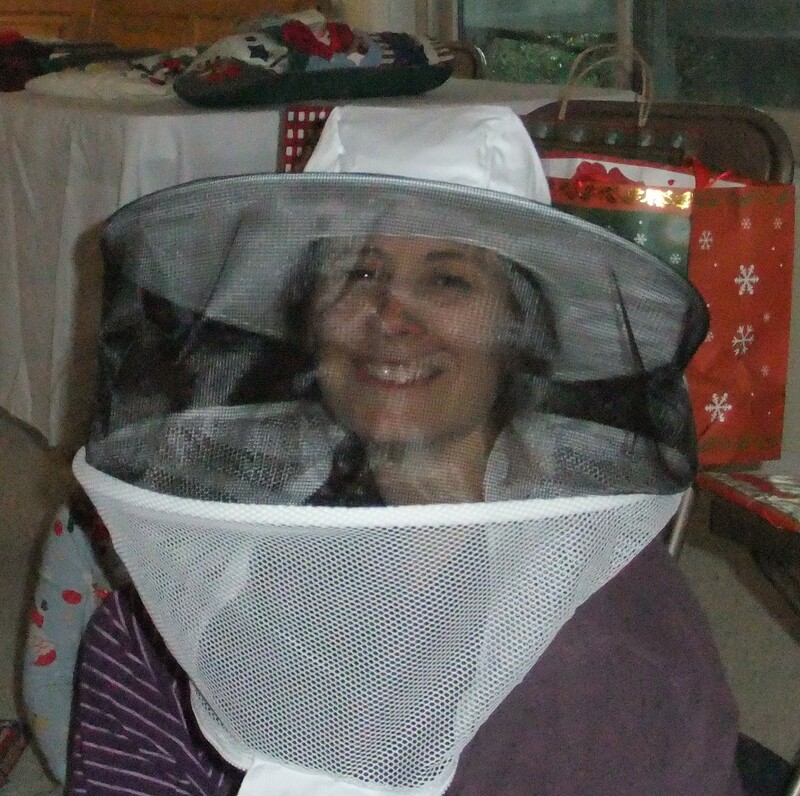 A friend of mine back east demanded I send her a pic of me in my beesuit. I know you said your lot is small, but if you decide to get a few chickens (a small chicken tractor for 2-3 girls would be great on a small lot) let me know. Perhaps we can trade beekeeping advice for chicken advice? I have chickens, and am just getting into beekeeping. Love reading your blog.